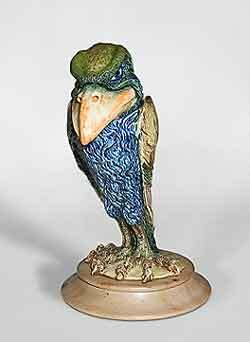 Glazed Wally bird - 13" (330 mm) high. 2004. This is the finished version of the unglazed Wally bird we posted a while ago. Unfortunately the streaky base split, so Ben had to use a new one.